Become a cat and hunt down fish with harpoons. Play with various harpoons and items as you enjoy fishing. Encounter all sorts of fish, ranging from the cute to the bizarre. Simple Controls - Aim and fire your harpoon to catch fish. Various Fish - Catch over 80 species of fish and complete your collection. Unique Equipment - Try different harpoons and fun support items to catch even the toughest fish. 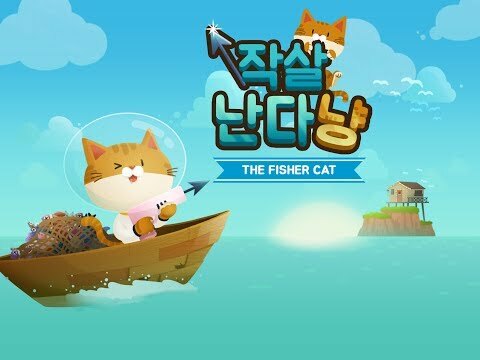 Cute Graphics - Experience the unique and charming art of Fishercat. Hidden Secrets & Events - Discover all sorts of secrets as you experience various events while playing.